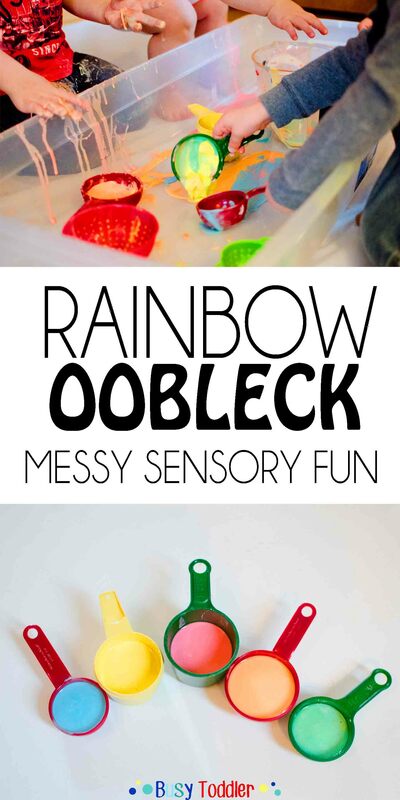 Making rainbow oobleck in a messy sensory activity. 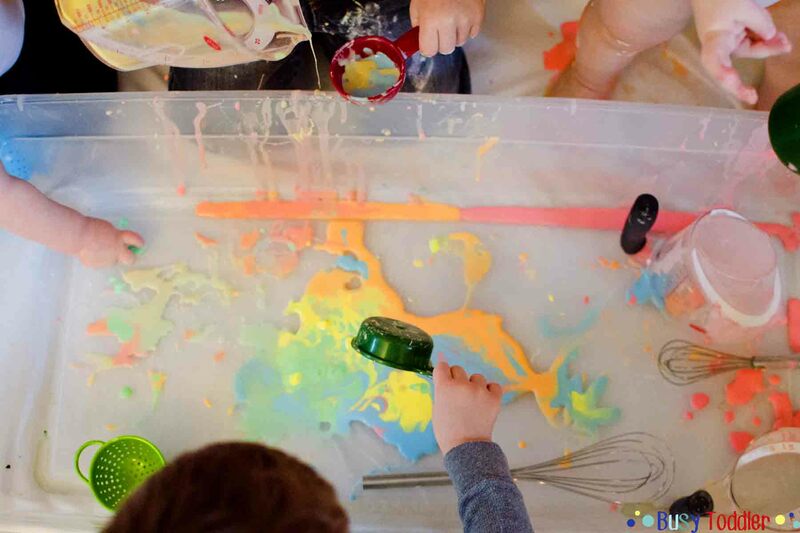 Oobleck is one of my most favorite sensory activities. It’s easy to make, simple to clean up, and really, really fun to play with. It’s messy play that I’m totally going to sell you on. This round of oobleck was especially wild: four kids, two moms, five colors, and endless giggles. 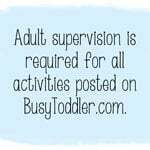 It was one heck of a toddler activity – messy play is always more fun with friends. Oobleck is a crazy substance. It’s not a solid, but it’s not a liquid. It has properties of both. It moves like a liquid but you can break it and hold it (like a solid). The recipe for oobleck is simple: Mix two parts cornstarch to one part water. I added food coloring to the water to make rainbow oobleck. 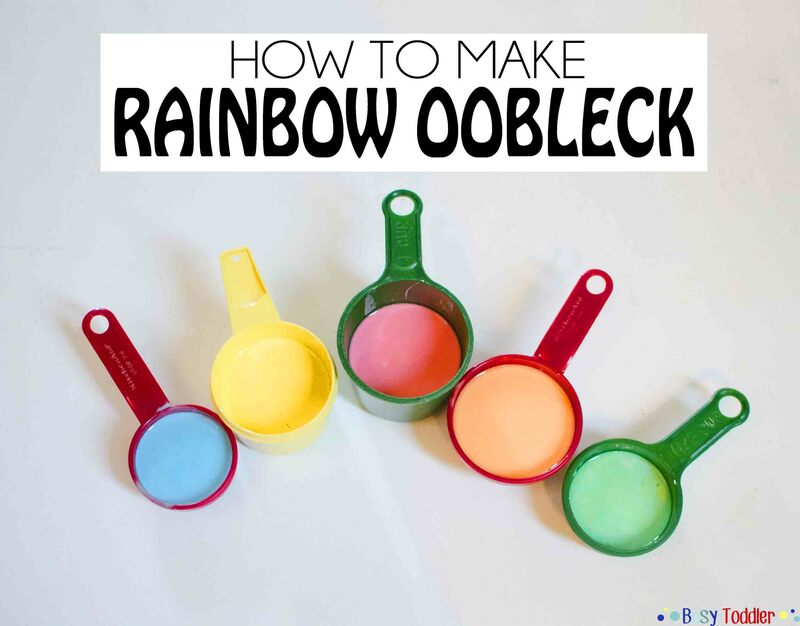 For this round of play, I made rainbow oobleck with 1/2 cup of cornstarch + 1/4 cup of water in each color. It’s the easiest to make – and we make it often! With two toddler and two babies, I decided to make oobleck for our play date. What a riot! To set it up, I first laid down my “toddler tarp” which is just a shower curtain liner that I keep on hand for projects. I love having this “toddler tarp”. I laid it down and set the project on top inside my favorite under the bed storage tub. When we were done, the liner went right into the washer lickety spit. I don’t have many bright moments, but buying this was one of them. A rare stroke of genius. The kids went totally Gwen Stefani for this – you know, BANANAS. B-A-N-A-N-A-S. They loved it. They poured, smooshed, and explored the texture of this funny substance. They loved trying to mix the colors together, too. The toddlers (obviously) did the best. As for the babies, we had one “runner” and one “eater”. My baby was the eater one. But even with our runner, things stayed decently contained. A few fresh shirts, some wipes hands, and it was like this had never happened. The clean up is surprisingly easy and totally done in about 3 minutes. Heck, my white couch is only a few feet away from this mess fest and we came out spick and span. 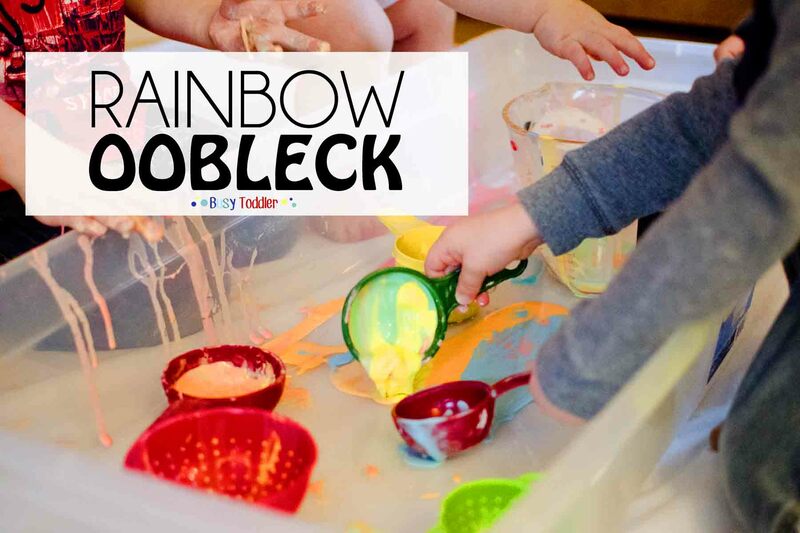 Rainbow oobleck is a great rainy day activity and a great one for fun play dates. It’s definitely a crowd pleaser and this crowd gives it two major thumbs up. I love this idea! And the shower curtain really is a stroke of genius! I’m definitely getting one as soon as we get home for doing our tot school activities!!! I’m not very often a fan of cornstarch (the clean up stage and we have carpets!!) but this looks sooooooooooo fun! I think once the weather warms up we will do this outside my monsters will LOVE it! 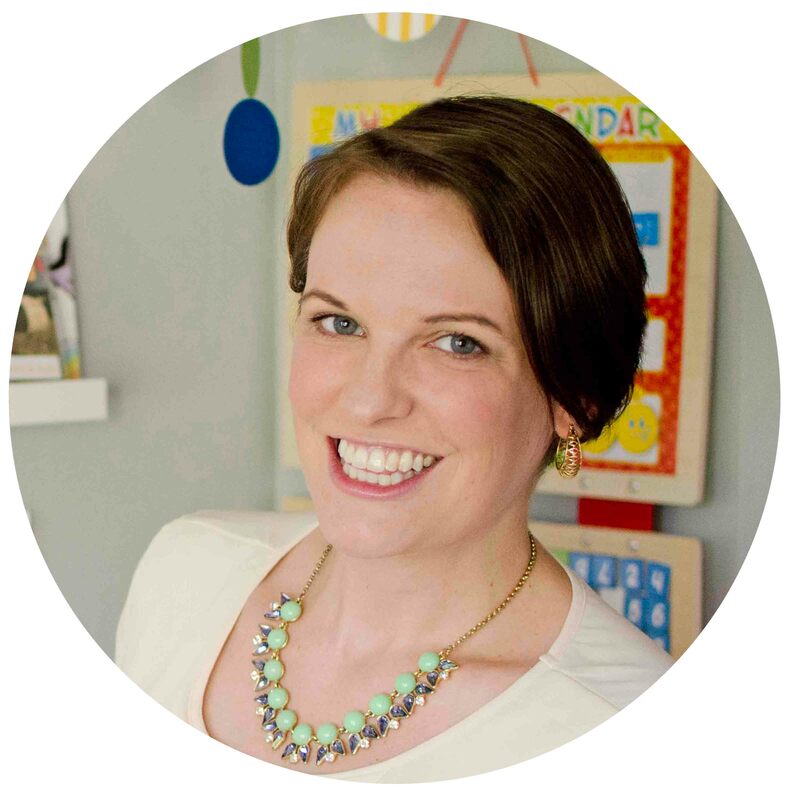 Thanks so much for linking up to #ToddlerApprovedTuesday, I hope you can join us again next week. This stuff is fun to play with, regardless of age! 😛 And your toddler tarp sounds like a great idea! 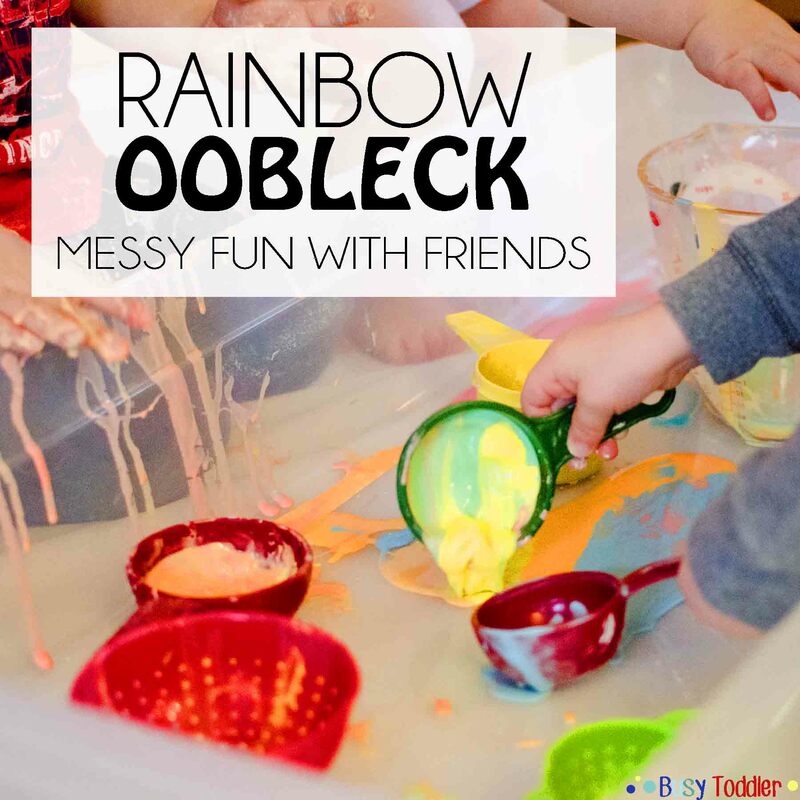 Oobleck is just one of those things that kids just love! It is hard to keep your hands out of it. 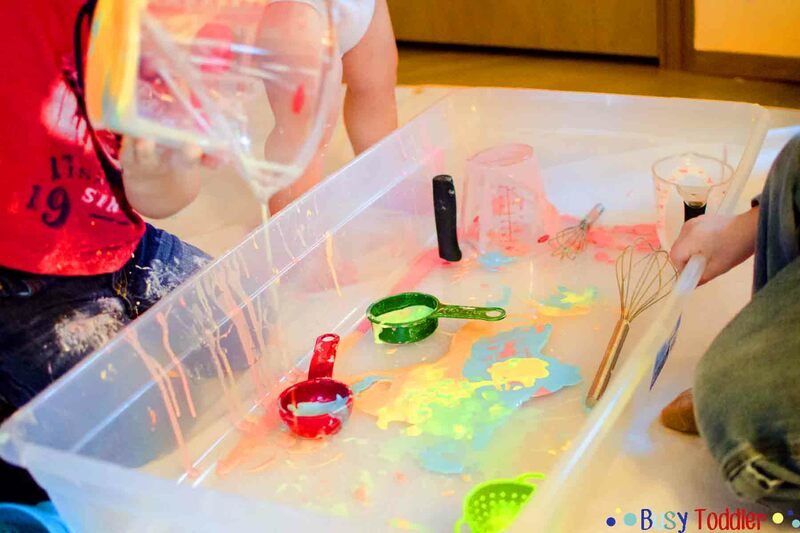 I love gloop (as we call it) but have never thought of making a rainbow version – how colourful! I love oobleck – haven’t made it for a while though.